New design on this velvet flocked black light poster. 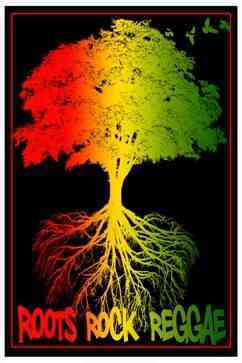 The image of the tree and it's roots in red, yellow, & green, is what we call the "Rasta Tree of Life". It measures approximately 24" x 36" and would look great in any room.